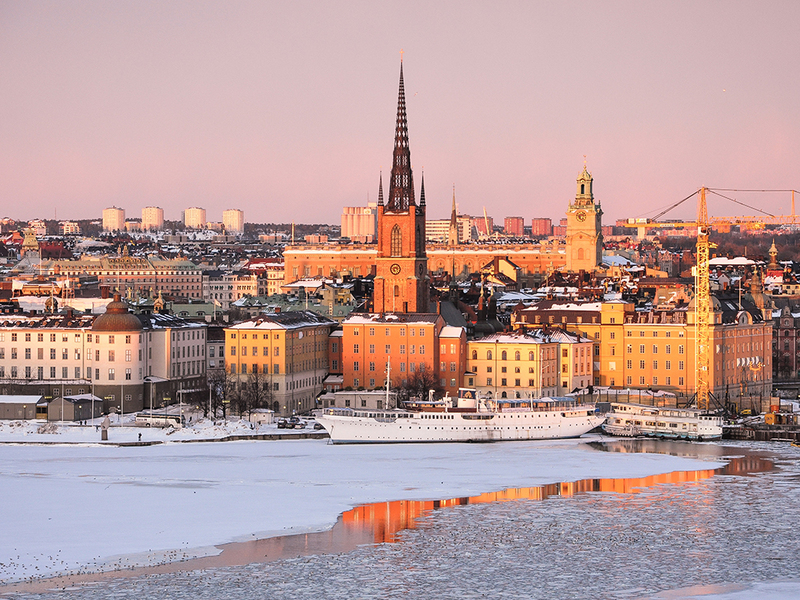 Stockholm is thought to be the "world's best sustainable capital". However, is this the result of a glossy marketing campaign or genuine action? Following the ongoing debate in the media about the changes that will occur across our business landscape, I have noticed that more and more businesses are talking about being sustainable and addressing their impact on the environment. As such, corporate social responsibility (CSR) has become a hot topic in all boardrooms and at each level of management within organisations. But how is this connected to the world of regulation, and furthermore, how does all this focus on CSR policy actually help the environment? The challenge is to understand our own impact on the planet. It’s all well and good to claim to focus on CSR issues, which we can understand on a strategic level, for example, making the world a better place to live in. But it’s so much harder, and sometimes even painful, to change your own business to have less of a detrimental impact on the environment and also to understand the regulations to which we are obliged to follow. Is CSR policy undermining innovation? The regulators do not make it easy on us and certainly do not make it easy on the corporations that have to obey to the regulations. However, they are in place to safeguard consumers and prevent uncontrollable actions taken by industries in the quest to perform in markets that can be seen to have a monopoly situation. One of these industries is the energy industry. Currently, the energy industry is so heavily regulated that we have lost all forms of innovation power. The regulation is not only preventing innovations, it is also preventing initiatives that could have a positive impact on the environment. I understand the regulators and their quest to reduce consumer cost, to create a market-oriented platform and to empower the consumer – but does it help the environment? My answer is no. I once met a regulator who asked me if I had heard about smart meters and smart grids, I said yes. He then asked me if I had ever met a smart regulator, I said no. He actually agreed with me, and one month later he quit his job. It says a lot when even the regulators know they are not smart enough, and throw in the towel when they realise that they do not have room to manoeuvre or to gain better results. I can understand why some companies go for the quick wins in their sustainability work and focus on it from a strategic view instead of a practical view. A strategic view means that a business person can use the same language in describing their efforts as their equals – others who do not have the stamina to actually make a difference. While I understand this view, I do not respect it. If all companies that claim they work in a sustainable manner and care for the environment actually delivered on all their promises, we would not need regulations and better still we would not have to talk about the environment. If every corporate does their maximum to become sustainable it would lead to less carbon emissions, cleaner technology and also to a more efficient future. So why don’t we? The answer is easy. As we enter 2014 we have started to see a slight movement towards a positive market. GDPs in certain areas are slowly growing and corporates are again starting to deliver on expectations. The expectations have been low for a few years, but nevertheless we can now see that things are going in the right direction. Since 2008 most corporates have been in turmoil. They have seen markets collapse resulting in a decline in both revenue and growth. To adapt to this, actions have been granted from the boards and owners to ensure that companies do not fail in at least meeting basic demands. These demands are, of course, related to financials. There is nothing wrong about that, but it has led us to a six-year period where no-one has given any thought as to how to actually become sustainable. Politicians haven’t helped much either, as they remain transfixed on securing GDP or the next election. They still talk the language of sustainability, but their actions point somewhere else. Just look at the Swedish government. They claim a record period in sustainable investments and are proud that Stockholm is the world’s best sustainable capital. However, on closer inspection, it’s all about words and not about actions. It’s easy to claim sustainability but it’s harder to live sustainably. During the recent financial struggle we have been fighting to survive in a competitive world with close to no buying power. Exports have gone down and payments have been insecure. And still all corporates claim that they are sustainable. If sustainability is selling less and earning less money – then yes – we have all achieved it. But it means so much more. Every company should make an analysis of how their business impacts the environment, decide upon how they can make changes and execute decisions. If it means that the business has to stop doing things, that’s fine. Will the boards or the owners accept this? Hardly. So it is more or less a catch 22. The conclusion is that it’s easier to say that we are sustainable than actually becoming sustainable. I can only look to my own company, Maingate. We help utilities and industries becoming sustainable with our technology, but if I look in the mirror, I have to ask if we are sustainable ourselves. I might not always like the answer I get, but we are certainly trying. Could we try harder? Yes, but it would mean that we probably would have to close down a lot of locations to lessen the need to travel and also to stop working with customers that we see as not acting towards a sustainable path in their own operations. It is difficult to be sustainable and a game changer if it means that you jeopardise your business, especially when there is money at stake. The question is if we at Maingate understand what it means to be sustainable – and yes we do. But for us to be a healthy corporation with a growing market we have to trade off certain actions that would make us into a truly sustainable company. It’s not easy but it is greatly satisfying when you can measure the impact and also see that it is worthwhile. I strongly believe that sustainability goes hand in hand with being more profitable and efficient.